Uninsured/Underinsured Motorist Coverage in New York - Do You Need It? One of the insurance options out there is underinsured and uninsured motorist insurance. You probably know a little bit about insurance if you own a vehicle. Having liability insurance is something that is required by law in every state in the United States. Above and beyond liability insurance, there are other insurance plans that offer specific protections. One of those is uninsured and underinsured motorist insurance. It only kicks in during specific situations, but for many people it gives them the peace of mind that they want while driving. Let’s take a look at whether or not you need this type of insurance in New York. Underinsured and uninsured motorist coverage is a specific type of insurance that covers you in case you get into an accident with a vehicle that is not carrying insurance at all or is not carrying enough insurance to pay for your repairs and medical bills. It is usually an add-on type of insurance that may be included with some comprehensive plans but often requires a separate premium and signing up for it. 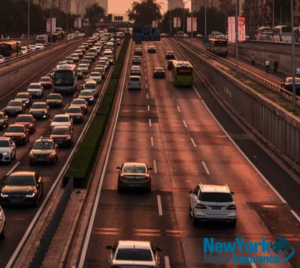 Underinsured and uninsured motorist coverage is available in New York, and is recommended if you think that you might be in an accident with someone who has failed to get insurance for their vehicle for who does not have enough coverage. What you have to understand is that there are certain dollar amounts that are mandated by law for people to carry. This is called liability insurance, and most insurance companies only provide this bare minimum coverage as required by New York law. But this isn’t very much money. There is a separate dollar amount for medical bills and a separate dollar amount for vehicle repair. This insurance pays out if the cost of your car repair or your medical bills is not met by the other person, and if the accident was their fault. It is basically protecting yourself against those who should have had insurance to protect you. New York has some pretty specific requirements on liability insurance for automobiles. New York requires that motorists carry a minimum liability amount of $25,000 for injury to a single person and a minimum of $50,000 for injury to all of the people that are in the car. In addition, New York requires that the person carry $10,000 in property damage, which includes both the other vehicle in the accident or actual property that is damage such as running into the side of the building. There is also a mandatory clause in New York for what is called no-fault insurance and coverage of $50,000 minimum is required. If you are in an accident with someone that doesn’t have insurance, and it is their fault, your insurance company is not going to pay if you have liability insurance. Liability insurance is the minimum required by law for your insurance company to pay to someone else if you cause an accident. However, if you get into an accident that is not your fault, and the other person does not have insurance, they may be going to go to jail but that doesn’t help you take care of your medical bills or deal with the damage done to your car. Imagine if you were in an accident with another motorist that had no insurance and your car was totaled in your left with more than $100,000 in medical debt due to injuries that you sustained in treatment that you’ll have to have for many years to come. Uninsured motorist insurance is specifically for this possibility. If you get into an accident and someone does not have insurance, you are still covered. There are also some other types of insurance plans where accidents with uninsured and underinsured are bundled in, so you may want to talk to your agent and find out what is available with all of the different insurance plans that are offered; because you may only have to pay a little extra to get a lot more from an insurance plan that is fully comprehensive. You should also be aware of what happens if you are in an accident with somebody that does not have enough insurance. Remember, New York only requires insurance companies to have a $10,000 payout if your vehicle is damaged. But if your car is completely totaled, and it is worth $30,000, that $10,000 seems like a really paltry amount. The same goes for that $25,000 in medical bills if you have a serious injury and have to get treatment, take medication or continue to pay huge amounts of money for many years to come. UIM insurance covers anything that goes above and beyond the liability coverage that the other insurance company – of the person that hit you – will pay. The bottom line is that driving around with liability insurance can be a risk, because there are definitely people out there that are driving around without insurance. If you are involved in a collision with those people, you will be paying for all of your medical bills and car repairs yourself – out of your own pocket. However, if you add underinsured or uninsured motorist insurance to your plan, then you can drive with the peace of mind that comes with knowing that you are protected no matter what.